Michael Aboya is a Ghanaian photographer celebrating the love he feels for his country through powerful portraits. This month, Aboya’s image "Songs of Freedom" was made cover photo of PWB Magazine #12. His work has also been featured in AfroPunk and was named the winner of the Agora Review’s #Sound Photo Contest. "My hand was made strong by the hand of the Almighty, we move forward in this generation triumphantly. So won't you help to sing these songs of freedom? Cause all I ever I have, redemption song. Emancipate yourselves from mental slavery, none but ourselves can free our minds!" Aboya says the cover photo was inspired by Bob Marley’s ‘Redemption Song’. “The day before the shoot I was listening to the song by Bob Marley and thought I could do a shoot on this to inspire others, that I could create a visual representation of what freedom feels like”. Accra, Aboya’s hometown, is one of the biggest cities in Ghana and the nation’s capital. Aboya describes his childhood as one both full of joy and happiness but also pain and struggle. “Growing up in Accra isn't easy, but it is seen as a city with an array of endless possibilities and opportunities as long as one is hardworking”, he said. 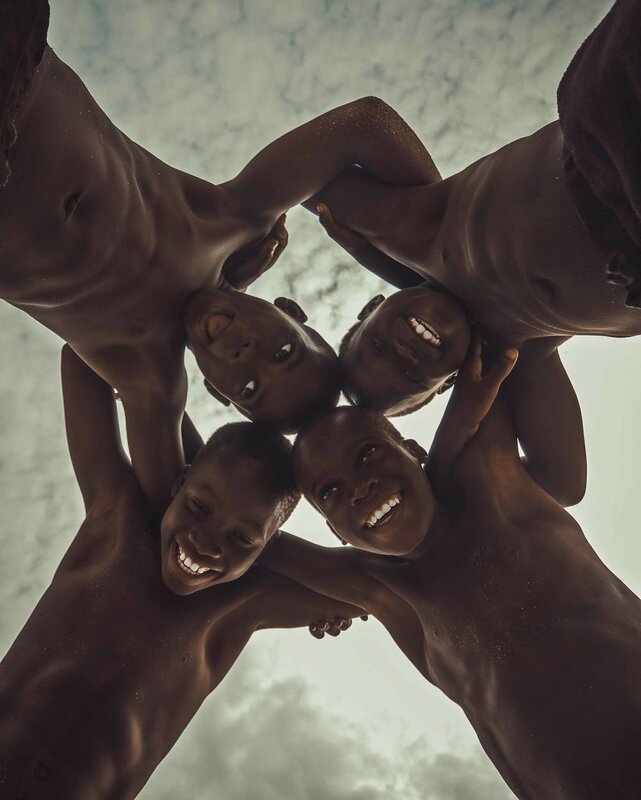 Before beginning his journey as a photographer, Aboya was in school studying software design; something he had little interest in pursuing but was something he felt he needed to do for his family. At 19, he dropped out of school, despite external pressures, and bought himself a couple of cameras. Six years later, Aboya has found a community of creatives in his home city. “There is a community of hard-working photographers in Ghana, and a few artists all together doing the best we can to tell inspiring stories, to inspire others. |And so naturally, they also grow up to embrace what we've naturally embraced with love. Our identity, our origin, our culture, defined by us. Aboya is hopeful that through his work, he can inspire a change in the way people perceive Ghana. “What is the first thing that pops in your mind when you think of Africa or Ghana?” he asked. “Few people think about the good, the safaris, the colourful tribes and soo much more. Most people think about the bad, the war, famine, poverty, diseases and more. The truth is Africa is both, just like any place on the planet, it has both the bright side and dark side, but unfortunately, the dark side seems to be what most people think about when they hear Africa and the nations within”. I don't wish for something more, but I hope to find those open doors. So I'll be on my way running through the water, for i know there is something for me out in the cold. .
For Aboya, being behind the camera is a way of redefining his world. “I believe that when BIPOC (Black and Indigenous People of Colour) tell their own stories, they can present the country and continent differently to the world, showing the love, peace, and harmony, and making the bright side a little bit more, putting the dark side behind it”, he said. “When you push the shutter and take a photo, you are a photographer, which anyone can be. What makes me more than a photographer is the ability to search within and bring my artistic vision to life and redefining the world around me, inspiring people and empowering them”. “As always I'll keep on doing my best to tell beautiful inspiring stories,” he said. What defines us is how well we rise after falling. Rise to the challenge and become the captain and master of your own thoughts, beliefs, decisions and actions. Walk with courage and keep your positive mental imagination alive. Don't forget that underneath your pain, is an anchor of great strength and fortitude. Keep digging until you find it... And when you find it. RISE! To see more of Aboya’s work, visit his Instagram page. To take home a copy of PWB Magazine #12, featuring “Songs of Freedom”, click here.